Last Week, The Los Angeles Daily Journal published my article on the games played in mediation. Here is the article. Chess is a game of strategy. It requires players to think ahead several moves and evaluate the options and risks of each move. Just as with chess, good negotiators have to look at all of their options before they make a move and consider how the other side will react to a particular move. 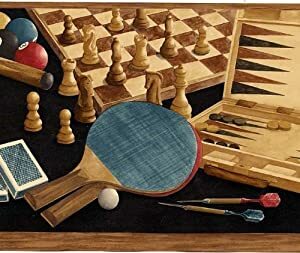 Thinking like a chess player helps the parties to understand their BATNA (best alternative to a negotiated agreement) and WATNA (worst alternative to a negotiated agreement) by seriously evaluating the likelihoods of winning and losing: If an offer is made, how will the other side counter? What will be the next move in response to the counter proposal? After one hypothetical chain is considered, a negotiator might have to evaluate other viable moves. The negotiator has to be a chess master and think several moves ahead and plan for all contingencies to be successful. Poker requires skill, luck and the ability to bluff. Players make decisions based on limited information. A player only knows what he or she is holding and what has been revealed to all players. Just as in poker, negotiators are gambling on the outcome. Parties often know facts that are only available to one side. For example, one side may be privy to what a certain witness might say, or the availability of certain evidence. And so the parties ante up by making preliminary bets based upon that limited information: Do they want to settle or continue? Then the parties see “the flop” as more information is discovered. Parties then can adjust their bets: Do they want to invest more in the case or do they want to fold and get out of the litigation process? However, even after seeing “the river” — that is, the final bit of information a party is able to discover — the parties still don’t know for sure the other side’s position. And so in negotiations, as in poker, parties must rely on their instincts and be willing to read the other side’s intentions through nonverbal cues. Pingpong is a game of skill and reflexes. The game moves quickly and each shot is a reaction to the other side’s move. In mediation, reacting to the other side’s move is a critical factor for success. You might be prepared to negotiate fairly, but what if somebody throws a curveball? Or if the other side presents a bad faith offer? Your instant reaction is just as important as the choreographed strategies of chess. Many times your first reaction might be to get angry or upset. In pingpong, preparation through practice will help prepare you to react to the other side’s moves. In mediation, careful preparation can help you avoid adverse knee jerk reactions. Knowing in advance how you may react can help you to avoid making mistakes when it counts. When someone puts a spin on the negotiations, it is most important to simply get the ball back in the other side’s court to keep the negotiation moving forward. The final game to consider is “Deal or No Deal.” This is a television game show that gives each contestant one suitcase with some money in it. Nobody knows the value of the suitcase. Initially, there are 26 suitcases containing varying amounts of money ranging from one penny to $500,000. The contestant first chooses one suitcase that will remain closed until the end of the game. As the game progresses, the player opens a number of the 25 remaining suitcases. Each time a suitcase is opened, “the bank” makes an offer to buy the initial suitcase based on which amounts have been revealed. If no offer is accepted, the player is left with whatever is in the initial suitcase. The game is a play on risk tolerance. Mediation certainly involves risk tolerance. Often, parties are willing to take more risks earlier in the process and reject very reasonable offers. However, as more options are eliminated, the players often become more conservative. In “Deal or No Deal,” often a player will agree to an offer that was previously rejected earlier in the game. But there is also a point where players may decide that too many favorable options have been eliminated and they might as well reject all other offers. Similarly in mediation, there is a sweet spot for when and how much the case can be settled. As the mediation progresses, previously rejected offers may become more attractive. Steven G. Mehta is a full time mediator specializing in complex and emotional cases such as employment law, elder abuse, medical malpractice and catastrophic injury cases. He can be reached at his website, www.stevemehta.com.